By now you already know that binary options are simple and that if you want to profit from it, you need to determine the price of certain asser after a certain amount of time. You have everything set and this is good sicne you already know what youa re risking. WHY BINARY OPTIONS IS BETTER? 1. Because you can make money even every 60 seconds if you choose to do so. You can actually select 1 minute expiration time and trade only them. You just need to take in consideration that such trading is much more riskier then long-term because it shifts direction much faster but the profits are aswell faster – that is why it is so popular and people get interested. Do not forget ehre aswell to take some time for analysis and try to trade with the trend here. 2. Much more simple tools to use and start trading only by placing UP or DOWN button. When you start trading binary options you can see that the trick to trading is just to select the expiration time and click on up or down button with which you select where the price will go after the strike price till the end of the expiration time.Of course you also have option to choose other trading tools but simplicity is what give binary options trading advantage over forex, it is just easier to understand them. 3. You just register with the broker online and start trading, so no downloads required. First you have to choose the appropriate broker. As easy as it sounds, it really is not that easy because it is one of most important steps even in forex. Good broker is like a good partner in business, it makes the difference. After that, all you need is login information and you can trade from everywhere as long as you have internet connection. 4. There are predetermined risks so you can limit your losses. 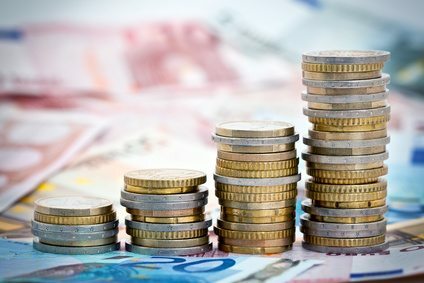 This is also advantage in binary options because before a start of a trade you already know what is your risk and what is your profit, it makes all the difference and easier decision while on the other hand with forex you determine all the variables – being said that, you can also make more profit. For novice traders or traders who want to have higher chance of profit, binary options is better choice. 5. You can make profits from the start BUT always trade only with certainty in mind. It is true that binary options trading is not 100% profit and that you can lose money with it but you can limit that with teaching yourself. That is why you need to prepare yourself for a trade as you do for everything in life. After all, everything in life has two sides, people will always be like that so you have to take your mind and choose what works best for you. If you already have expirience in forex then i see no problem to try out binary options, maybe you will have better profits with them. Or if you are a novice trader and never trader before, you should expect this is nothing like breathing air which is basicly automated, you have to learn as you have learned to walk – you did not do that in first try either!